Summer School lecture, ca. 1920. Courtesy Special Collections and University Archives of the W.E.B. Du Bois Library at UMass Amherst. 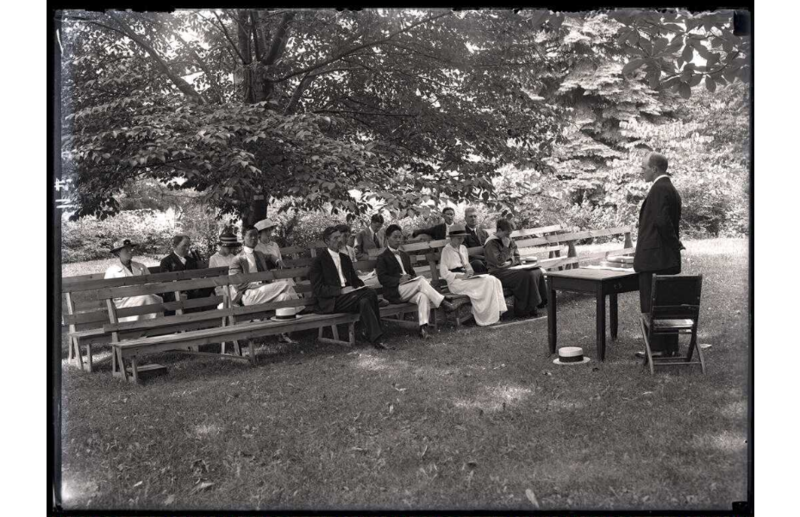 Unidentified faculty member lecturing to a group of men and women under a tree; summer course at Massachusetts Agricultural College.